At the von Trapp Animal Lodge, our primary concerns are your dog’s comfort and safety. Our Zen Den suites include the above as well as a private yard for supervised, solo play time. We do require a temperament test prior to lodging to help us identify in which play area your pet will be most comfortable, as all of our overnight guests participate in daycare too. If your pet does not tend to do well with other dogs, they can still board and spend time in our Zen Den yards (space permitting). Webcams are provided in the general daycare area as well as in a limited number of suites. 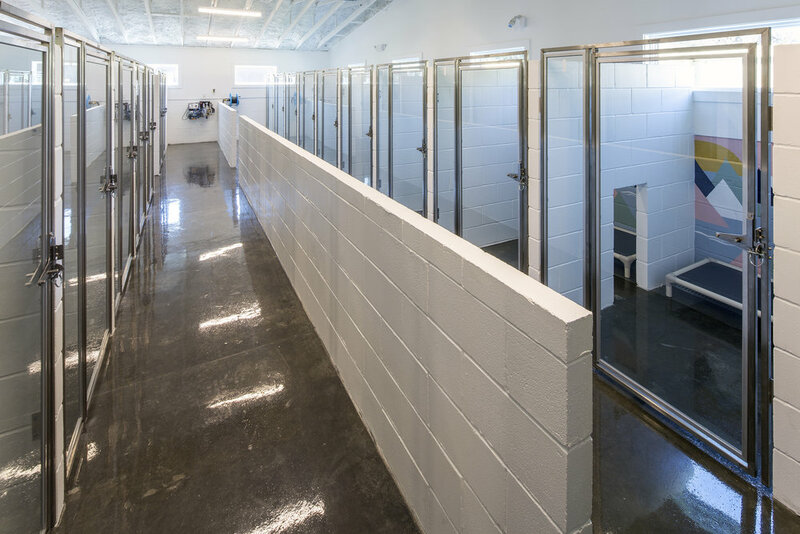 Webcam suite reservations for canine suites are on a first-come basis or will be automatically given to geriatric or special needs dogs. All Zen Den suites include webcams.